Andeas Francke is from Freiburg and already took piano lessons in primary school. After his A-levels, he studied saxophone in Stuttgart. Further studies followed among others with Karsten Gorzel (Germany), Michael Heitzler (Germany) and George Robert (Switzerland). His diverse musical interest and his style has certainty made him a popular sideman and soloist in Southern Germany throughout the years. From Jazz duos (Deuce) up to Bigband (among others Jazzfactory Orchestra, SWR Bigband), he has performed in various constellations. Musical meetings with musicians like Aart van Rooyen, Bobby Shew and John Clayton are part of his CV as well as an active concert work that has already led him through Germany and big parts of Europe during long tours. 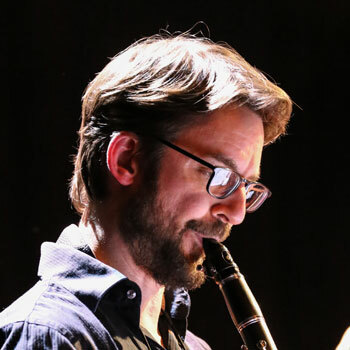 During the past years, he has participated in lots of CD-productions as a studio musician and has been active as the head of workshops and as instrumental pedagoge for many years as well. He has been a member of Grupo Sal since 2014.